If you want to be self sufficient when you travel you need the ability to provide your own air source. There are a few different options on the market with most versions powered by electric. The setup from Off Road Only uses a York compressor driven by the engine. 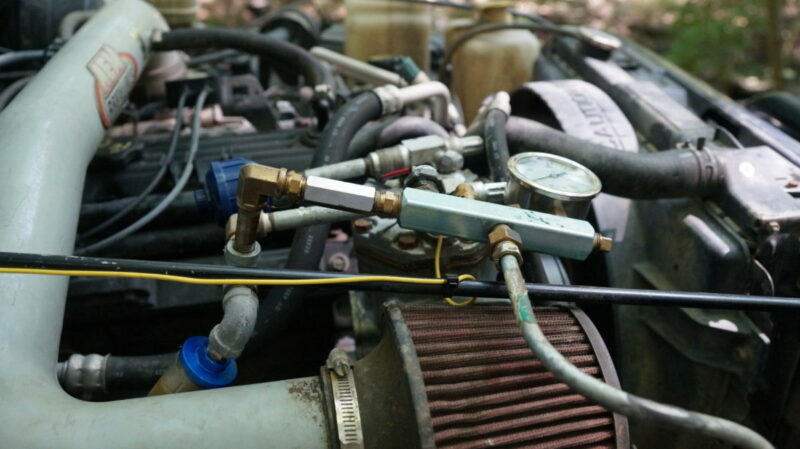 The compressors found on most vehicles with A/C are lubricated internally by the freon in the system. For pumping air, you would have to have an external oiler to keep the compressor lubricated, and a filter to remove the oil from the output of the compressor. With a York, this is not necessary. It has its own internal reservoir for oil, making it a much better choice for pumping air. Both setups are capable of running air tools. Both are capable of long service life when properly cared for. Where the differences start to stand out is how long the compressor can run without overheating, packaging, and in some cases cost. You can find a York compressor for significantly less than many electric compressors. Buying new they are around the same price. The design of a piston based compressor like the York has been around since compressors were first developed. They don’t have a 100% duty cycle but the amount of air it can supply with minimal heat generation is impressive. Check the video to see us run it up to max pressure and then fill a 35 x 12.50 x 15 from 0 to 30PSI. This setup has a 3 gallon tank, Off Road Only recommends a 1 gallon tank for maximum efficiency. The packaging piece is a big deal as well. Because the York with the Off Road Only is mounted towards the front of the motor , or in the case of a JK driven off the bottom pulley, it leaves more space available. 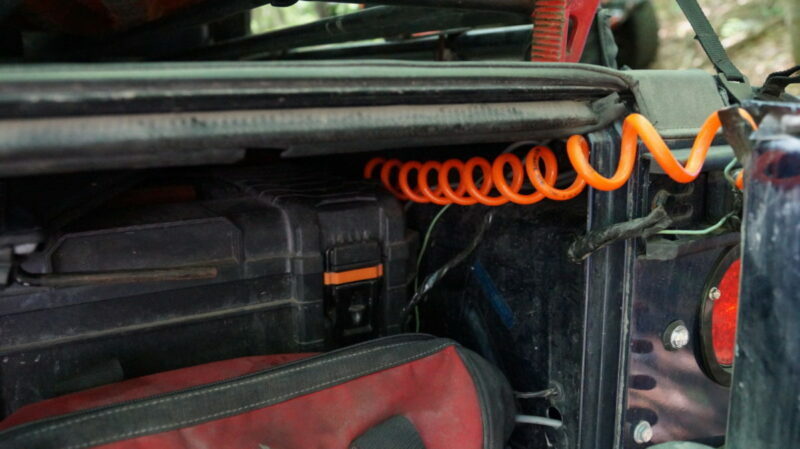 Most electric compressor mounts go on the drivers side with near the ABS unit. It’s also where some vacuum pump relocation brackets go, many electrical distribution setups go. You can’t share that real estate three ways. The final answer as to which is better is up to you and your setup. If you want to get your own on board air from Off Road Only check out their store. For off road instruction check out our friends at Off Road Consulting. Thank you to both for participating in this article and video as well as Schaeffer Oil for sponsoring these video segments.